NBCUniversal Is Cutting Ties With Donald Trump : The Two-Way The media company is ending its business relationship with the presidential hopeful after comments he made about Mexican immigrants. NBCUniversal announced that it is cutting ties with Donald Trump after comments he made about immigrants. NBCUniversal is ending its business relationship with Donald Trump following comments Trump made about Mexican immigrants. 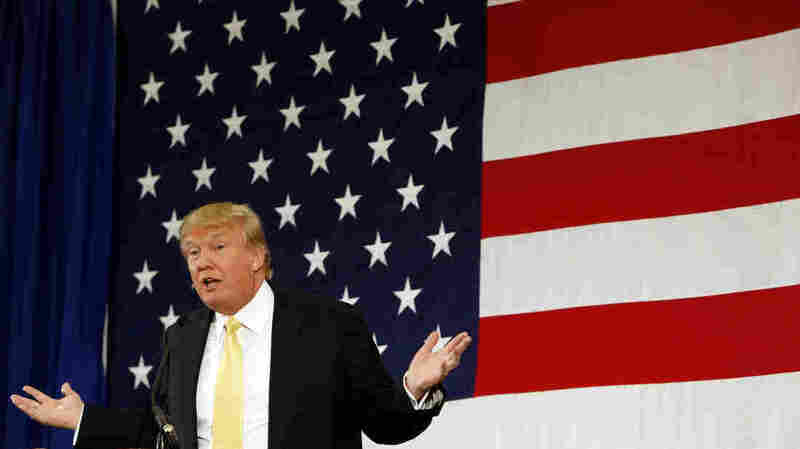 Trump's controversial remarks came as he was announcing his bid for the Republican Party's presidential nomination. "At NBC, respect and dignity for all people are cornerstones of our values. Due to the recent derogatory statements by Trump regarding immigrants, NBCUniversal is ending its business relationship with Mr. Trump. "In addition, as Mr. Trump has already indicated, he will not be participating in 'The Apprentice' on NBC.
" 'Celebrity Apprentice' is licensed from Mark Burnett's United Artists Media Group and that relationship will continue." For his part, Trump says he stands by his recent comments, according to a statement from The Trump Organization. It says, "NBC is weak, and like everybody else is trying to be politically correct — that is why our country is in serious trouble." " 'If NBC is so weak and so foolish to not understand the serious illegal immigration problem in the United States, coupled with the horrendous and unfair trade deals we are making with Mexico, then their contract violating closure of Miss Universe/Miss USA will be determined in court. Furthermore, they will stand behind lying Brian Williams, but won't stand behind people that tell it like it is, as unpleasant as that may be.' "
"Trump's main theme [during his announcement speech] was that the country is in serious trouble. He talked about the need for America to begin beating China in trade and Japan in manufacturing. "But it was Trump's comments about immigrants from Mexico that have earned him the anger of many Hispanics." And now it has cost him the loss of two business ties.